“If you wanna get with me, you gotta get with my friends” – the Spice Girls mantra on the importance of friendship has been ingrained into both pop culture and our psyche for several years now. This February, forget Valentine’s - Galentine’s and spending time with your favourite gal pals is where it’s at. However, rather than keep it for just one night only, why not take a short break to really hone in on that quality time? Here is our round up of the eight best destinations to take a Galentine’s break this February. 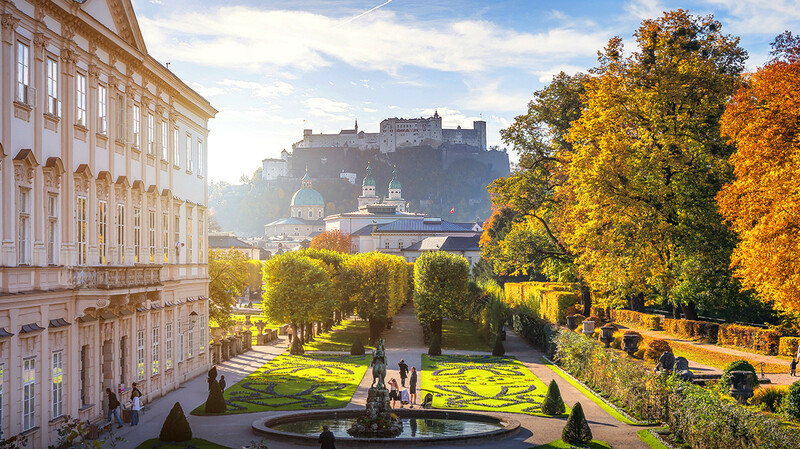 Salzburg is so much more than just The Sound of Music and Mozart, it’s the ideal place for a city break whether you are a foodie, culture lover, fan of architecture and more. The pretty city of Salzburg has also been a member of the UNESCO World Heritage List for over 20 years. Take a stroll through the Mirabell Gardens (which were indeed made famous by THAT iconic film!) or head up the Mönchsberg where you can take in the incredible far-reaching views over the rooftops of Salzburg and the beginning of the imposing Austrian Alps. Head over to the Museum of Modern Art where you can find both modern Austrian and international artists’ work on display. From traditional Austrian dishes to the best Indian food in the city, Salzburg has plenty to offer the most discerning of foodies. For traditional Austrian fare, head to Bärenwirt in Mülln which is one of the oldest eateries in Salzburg, where you can find delicacies such as schnitzel and home-made strudel. Restaurant Ikarus at Hangar-7 is a quirky concept restaurant that has a different chef each month. It doesn’t matter which country they come from or what their culinary style is, what matters most is the variety. And, of course, the high quality of the dishes. So far, they have had a great selection of top-quality chefs like Quique Dacosta and Sven Wassmer. Ibiza in February?! Bear with us! 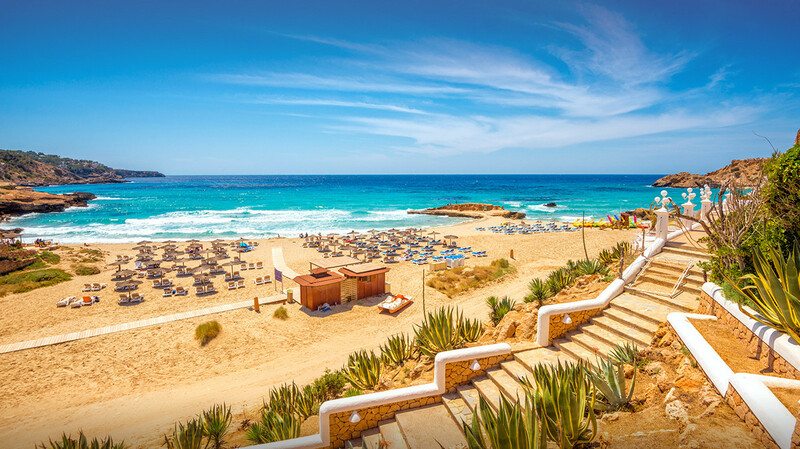 Whilst it might not be peak season, and temperatures don’t get much higher than 15 degrees, there are plenty of reasons to head to the White Isle for a Galentine’s Break this February. Locals swear that February is one of the best times to visit when it comes to seeing the beautiful scenery and that it is also an ideal time to attain a great deal. During the winter months, local restaurants take part in Gastrojueves (Gastro Thursdays) where meals are sold at half price. This is a good opportunity to take advantage of some of the great restaurants in the region at 50% off. Still need convincing? The Ibiza Carnival takes place between the 11th and the `7th February. This fun-filled festival will see the local streets, pubs and bars full of music, colour and fun. Fancy dress costumes are optional, but this could be a fun thing to do with your pals. If Ibiza represents clubbing to you, then despite being out of season, there are still a small selection of clubs like Pacha, bars and pubs that are open and they won’t be too crowded in comparison to later on in the season. Ibiza in February is also a great time to explore the island and visit the different towns (don’t forget to check out the likes of San Carlos, Es Cubells and Santa Gertrudis) take a hike and check out the local museums and galleries. Bruges in Belgium must be one of the most picturesque cities in Europe. Think charming medieval buildings, quaint cobbled streets and pretty canals (in fact, one of the best ways to explore Bruges is by boat ride). 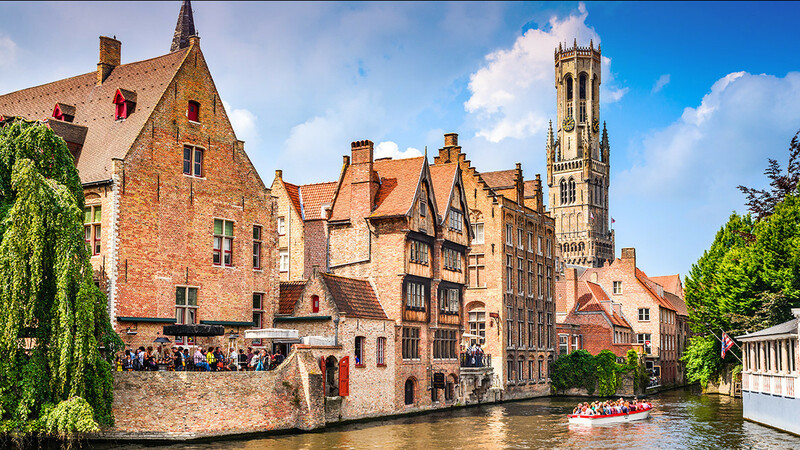 The Belfry, Bruges’ most famous landmark is a medieval bell tower and whilst it is 366 steps to reach the top, the incredible panoramic views of the city that you will see when you get there are 100% worth it. The Groeninge museum is a great place to get acquainted with the masters of Flemish art, where you will find some stunning medieval creations from the likes of Hans Memling and Hugo van der Goes. If you love chocolate and beer, you are in luck as Bruges is famous for both. Don’t leave the city without visiting the renowned Chocolatier Dumon. Bruges is also famous for its delicious waffles and if you fancy super-sizing your waffles, head over to Lizzie's Wafel on Sint-Jakobsstraat where you can enjoy extra-large waffles that are soft and fluffy. Feeling like you need to work off all those waffles? Bruges is the ideal location to get on your bike. Hire a bike from one of the city’s rental companies and traverse from the city through to the medieval Damme, where you can find gabled houses and churches and even a windmill. 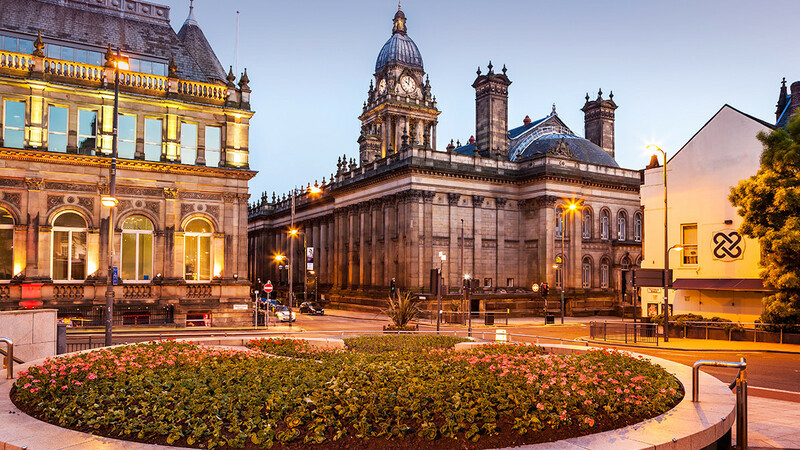 With 16 museums and art galleries and more listed buildings than any other English city outside of London, it is little surprise that Leeds has become a mecca for culture vultures. From the Henry Moore Institute to Harewood House, there is plenty to do and see in Leeds. If you have access to a vehicle, you should head over to the incredible Yorkshire Sculpture Park. Leeds is a great place for a fun night out whether like lively nightclubs like Club Mission and Pryzm being ideal places to dance the night away. The HiFi Club is an underground hub that plays hip-hop, jazz, soul and funk tunes. For rocks chicks and indie queens, head over to the O2 Academy where you see bands like the Fun Lovin’ Criminals. Papa Roach, The Specials and Anne-Marie over the coming months. 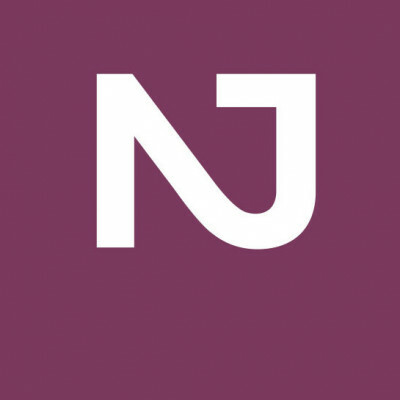 If you love to shop, Leeds won’t disappoint – from the large department stores of Harvey Nichols to the grandeur of the historic Victoria Quarter which dates to 1900 where you can find some of the top designer brands. Then there is the historic Leeds Corn Exchange where you can pick up anything from leather jackets and prom dresses to a hot dog and a drum kit. When it comes to eating out, Leeds has a great reputation thanks to its culturally diverse food scene. Former MasterChef: The Professionals finalist Matt Healy’s The Foundry takes advantage of the local areas produce and his menu is often described as ‘unconventionally British’. Pintura is a super cool restaurant and bar which pays homage to the food and wine of the Basque region of Spain. 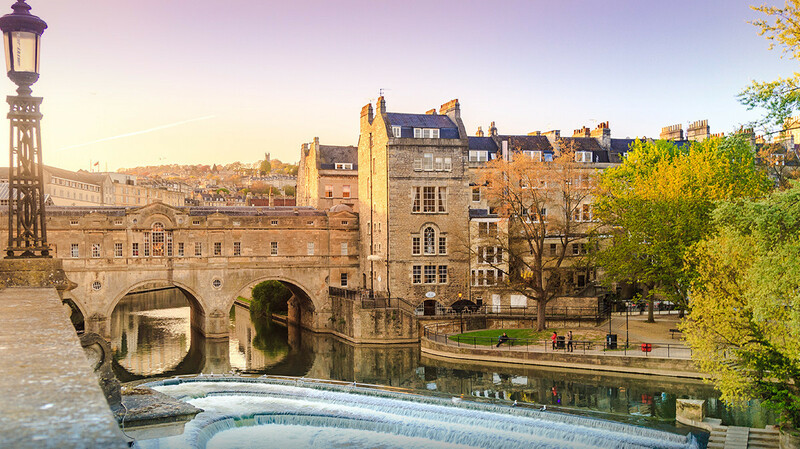 Historic Bath is one of England’s most popular cities thanks to its honey-coloured Georgian architecture, its lively bars and restaurants and its strong cultural scene. The Royal Crescent is one of one of Bath’s most iconic landmarks and one of the greatest examples of Georgian architecture in the UK. Retreat to the Thermae Spa where you and the girls immerse yourself into a mineral bath and a rooftop pool. If you and your girlfriends love classic literature, why not pay a visit to The Jane Austen Centre where you can even dress up as if you were a character in Pride and Prejudice! Afternoon Tea? Don’t mind if we do! A visit to Bath wouldn’t be complete without partaking in a traditional afternoon tea with finger sandwiches, pastries and of course – the very English delicacy – the scone! The Royal Crescent Hotel & Spa is expensive but is a superb luxury experience. Love to shop until you drop? Singapore could be the perfect long-haul destination for you. This cosmopolitan city is steeped in history and culture and has a great foodie scene too. Whether you are looking for vintage bargains or designer labels, Singapore won’t disappoint. Head over to ION Orchard where you will find some a wide selection of luxury brands such as Tiffany & Co and Alice and Olivia. The buzzing district of Bras Basah.Bugis is THE place to go for charming boutiques, bustling markets and a 10-storey mall. Whether you love one-off collectibles or alternative indie labels, we are sure that you won’t leave the busy lanes of the Bras Basah.Bugis empty-handed. 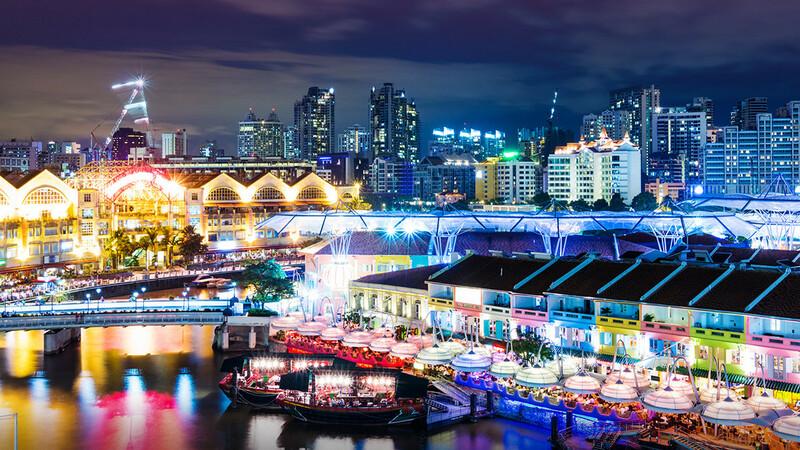 With over 20,000 restaurants and its rich multicultural heritage, Singapore is an ideal place for foodies and is often considered to be the food capital of Asia. From on-the-go street food to fine dining, there is something for every pallet and every budget. Oxwell & Co Rooftop Garden & Bar gives us total Alice in Wonderland vibes thanks to its whimsical and quirky design. There is an organic herb garden (of which the produce is used in the cocktails) fairy lights and a vintage London phone box. The gin-based drinks come in pretty tea cups and you can even order a G&T bathtub to share. Just don’t fall into that rabbit hole. 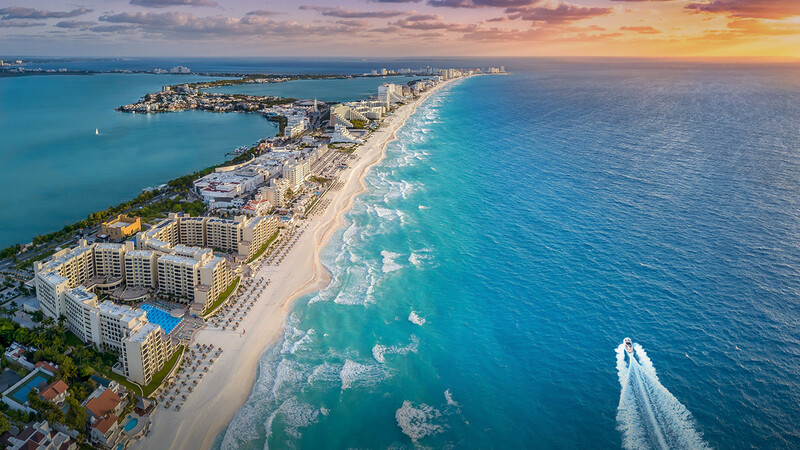 Often described as a tale of two cities, Cancun is both relaxing beaches and glamorous hotels, but it is also a city that offers an intriguing insight into Maya culture. If you want to relax on the powdery white sands and dip your toe into the lapping aquamarine Caribbean water, you can do so. However, there is more to Cancun than its wild party scene reputation belies. Escape the beach for a day of ruins-hopping at El Rey or head over to Chichén Itzá which is a large Mayan archaeological site and is also a UNESCO World Heritage site. Always synonymous with party goers, Cancun has always had a strong reputation for having a vibrant and lively party scene. From the stunning acrobatics of Coco Bongo to the authentic Latin vibes of Mambocafé, get ready to dance the night away! Love adventure? Whether you love ziplining, diving or snorkelling, Cancun is the best place to be. One really cool thing to do with your friends is to explore the Xplor Fuego at night. You can explore the illuminated caves and rainforest which is ideal for a night-time rush of adrenaline. For the ultimate goal in thrill-seeking, try parasailing along Cancun’s picturesque shorelines and take in the beautiful views above the Cancun of Isla Mujeres, Nichupté Lagoon and more. With its rainforest-covered mountains, soft white sandy beaches and quaint little towns, the Dominican Republic remains a firm favourite for families and friends alike. If you are looking for a luxury break with the girls, head over to the South Coast of La Romana where you can enjoy stunning resorts like Bayahibe. There will be plenty of opportunities for the ‘gram in the Dominican Republic, the entire island is completely instagrammable! One highlight is the Blue Hole which is a striking natural sinkhole can be found just outside of Punta Cana at the base of a 75-meter cliff. Go whale watching in the Península de Samaná which is home to colourful towns such as Las Terrenas, and picturesque fishing villages such as Las Galera. The pretty waterfall Salto Alto is also worth a visit whilst you are in this area. You can even take a dip in the sizeable lagoon underneath the waterfall which is surrounded by beautiful rainforest. Naturally, you will be spoilt for choice when it comes to food and drink on the island. 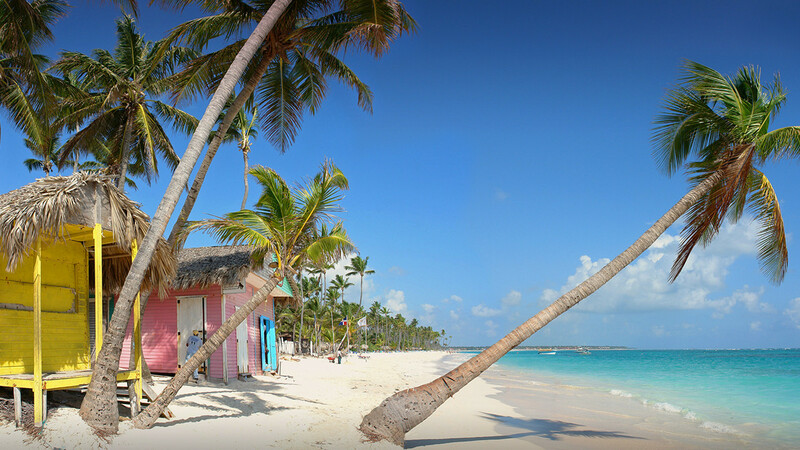 The Jellyfish Beach Restaurant is located on Bibijagua Beach in Punta Cana. Here you can enjoy delicious food, island-inspired cocktails whilst you listen to the hypnotic beats of the steel drums that play in the background. The Captáin Cook restaurant and bar has garnered an impressive reputation both with locals and tourists for its amazing seafood dishes such as their Creole-style langoustines. You might even want to try accompanying your meal with a shot or two of mamajuana – a local rum-based drink. So, what are you waiting for? Don’t waste time and energy organising this yourself, give your Personal Travel Expert a call at Not Just Travel and we will create your tailored package for you.